The new 20mm expanding pads will NOT work in this fitting. 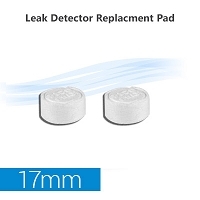 This innovative water leak detector uses a lever trigger mechanism and an absorbent expanding pad to shut off incoming water in case of leak. The lever mechanism is spring loaded, making sure the valve closed completely until it is reset by the user. 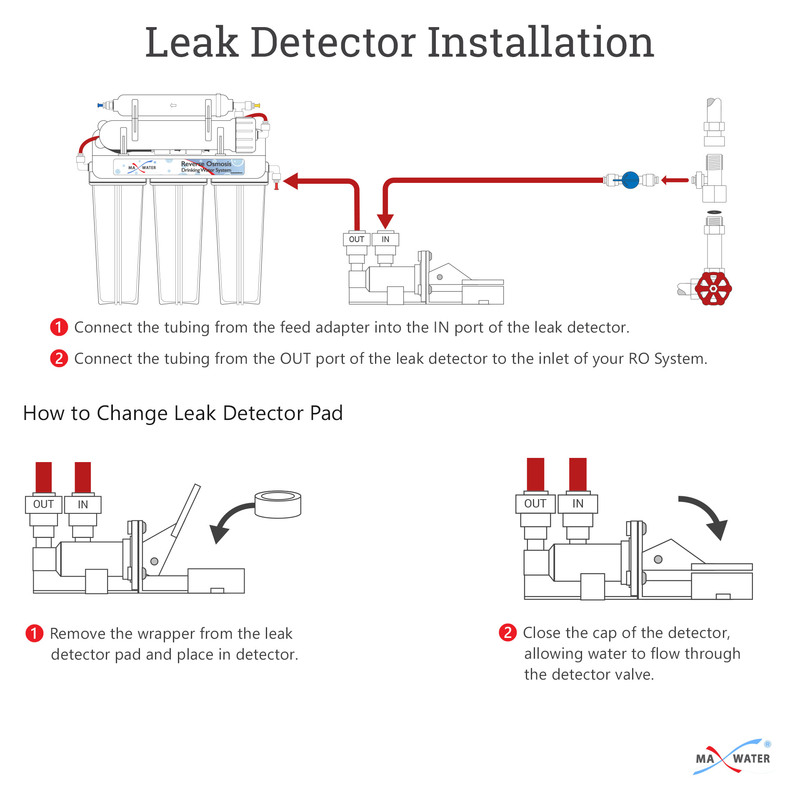 We highly recommend using a leak detector especially if you have a system that may be left attended for long periods of time, such as a cottage, RV or rental unit. 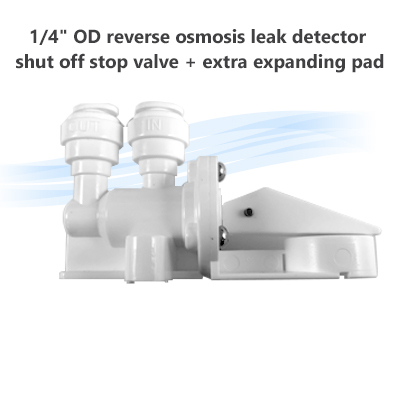 Our leak detectors are completely maintenance free and doesn't require any batteries or external power. It is easy to installed with the provided screws or adhesive pad and works great with any of our reverse osmosis and ¼” inlet under sink water purifiers. Simply install the the detector on the supply side of your system, between the feed water adapter and the inlet fitting, close to a place where water is likely to pool. 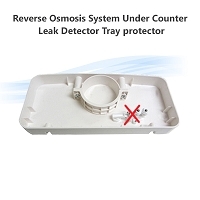 We recommend using a leak detector tray (part #105951) for better performance and hold any excess water if a leak occurs.